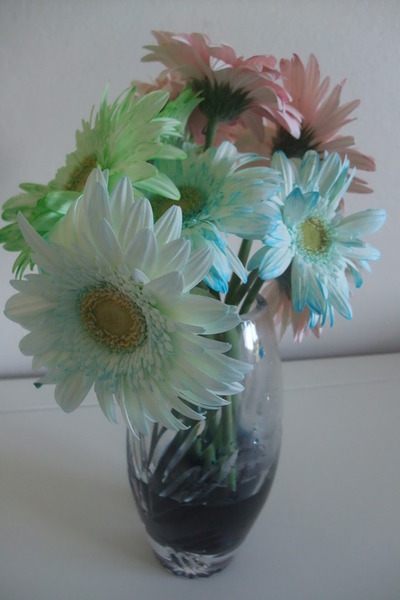 Dye your flowers to suit the occasion, rainbow coloured, green and red for Christmas or blue for a Frozen party. 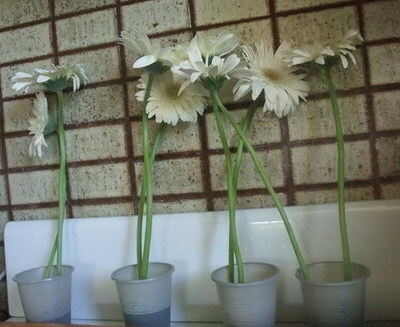 Snip the stems of your white flowers. 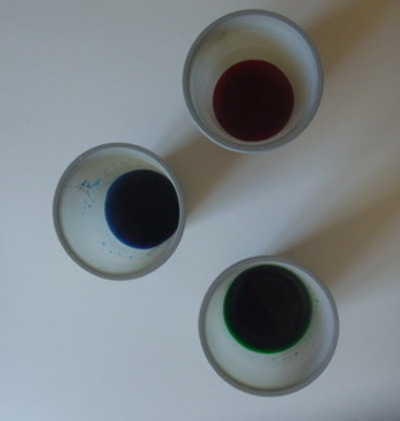 Place food dye in water in cups. 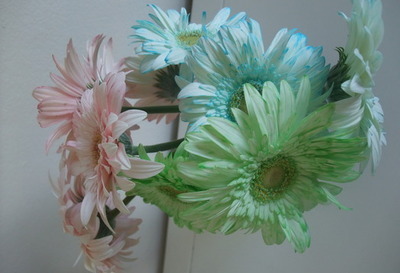 Place flowers in food dye for 6 hours.